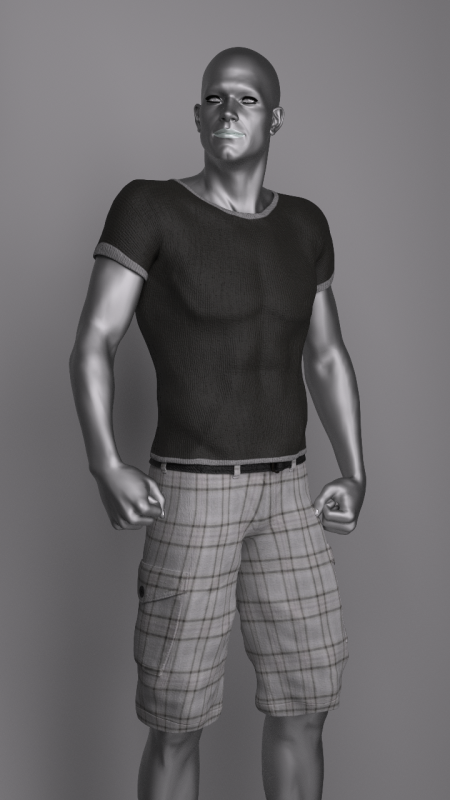 I was playing around with Reality for DAZ Studio the other day, and the above phenomenon occurred. It’s a Michael 6 render that should have worked out of the box – especially because Reality is clever enough to convert his skin shaders to automatically. The render worked fine on one of my machines, but not on another. Strangely enough though, I could see the textures fine in the viewport. And a quick test render in both 3Delight and Iray showed the textures fine too. But Reality and LuxRender wanted to render the skin tone as some scary metal. The culprit is DAZ Connect. On this second machine, Michael 6 was installed not via the DAZ Install Manager, but from within DAZ Studio via DAZ Connect. This has happened because I loaded the scene (from Dropbox), and DAZ Studio recognised that Michael 6 was not installed, and hence offered to install him for me. I accepted the generous offer, but Reality and LuxRender can’t handle textures installed via DAZ Connect. I’m afraid I don’t know why this is happening. There appears to be a difference between items installed via DAZ Install Manager (DIM) and DAZ Connect. You can tell because an item installed via DAZ Connect does not show up as “installed” in Install Manager, but a product installed via Install Manager shows up as “installed” in DAZ Studio (obviously). But what the actual difference is, sadly I have no idea. How can we correct this problem, Cap’m? 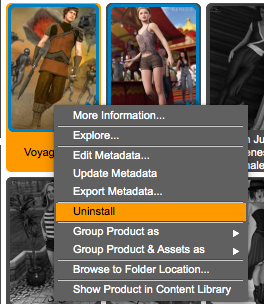 To avoid the above phenomenon, find the DAZ Connect installed product (either in Smart Content or under All Products), right-click on it and select “Uninstall”. Now start the DAZ Install Manager, search for the product and install it that way. Open your scene again in DAZ Studio, and now Reality and LuxRender won’t have a problem anymore. The procedure is the same on Mac and Windows by the way.